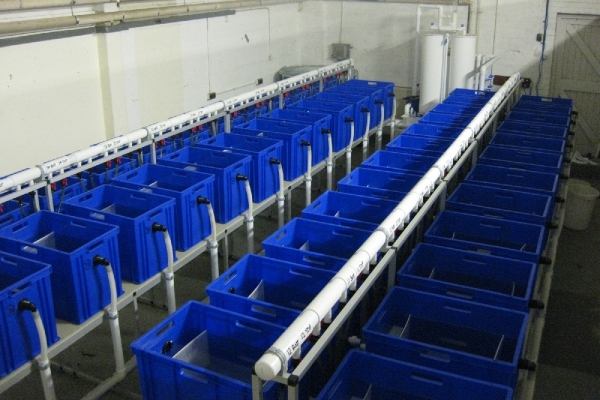 The Spawning Habitat Research Facility (SHReF) consists of a recirculating system of tanks in which the rates of flow, temperature, treatment (sediment load/source) and water quality can all be controlled. To date experiments have been undertaken on brown trout and Atlantic salmon. Sediment is introduced into the egg zone and the mortality of the eggs and fitness of the alevins are quantified in relation to the different levels and sources of silt and clay.